This year’s Wisconsin Film Festival features its strongest-ever lineup of independent narrative features. The most notable ones include Ronnie Bronstein’s late-addition Frownland (the director will be here in person), Antonio Campos’s Afterschool – both of which I’ve written about previously and made my list of best indie films of 2008 – Ramin Bahrani’s Goodbye Solo, Azazel Jacobs’s Momma’s Man, Sean Baker’s The Prince of Broadway, So Yong Kim’s Treeless Mountain, and Tom Quinn’s remarkable The New Year Parade. 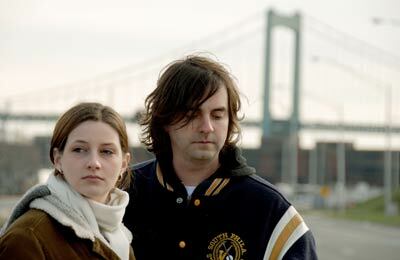 The New Year Parade won the Grand Prize at the 2008 Slamdance Film Festival and it’s no surprise in these tough economic times that the film still hasn’t found a distributor, so locals would be wise to catch it at the festival. The New Year Parade represents a terrific debut effort, and it may be another year before it sneaks into a local theater, turns up in your Netflix queue or the rack of your video store. In the current world of indie cinema, blink and you run the risk of missing out on the best new films being produced out there. Tom Quinn, who is still a fourth-year MFA student in Temple’s very fine production program in media arts, has a made a film that – like other major indie filmmakers, such as David Gordon Green’s George Washington (Winston-Salem) and All the Real Girls (Asheville, North Carolina), Lance Hammer’s Ballast (Mississippi Delta), Aaron Katz’s Dance Party, USA (Portland) and Quiet City (Brooklyn), Jeff Nichols’s Shotgun Stories (Arkansas), Bahrani’s Chop Shop (Queens) or Todd Rohal’s The Guatemalan Handshake (Harrisburg) – remains rooted in a regional aesthetic that captures the ethos of a particular place. In this case, The New Year Parade uses the backdrop of the annual Mummers Parade – a tradition that dates back to the seventeenth century – to explore the working-class neighborhood of Irish and Italians living in South Philadelphia. Quinn interweaves his story about an Irish-Catholic family, the McMonoguls, disintegrating under the painful strain of divorce amidst the year-long preparations for the South Philadelphia String Band’s attempt to win the annual parade after finishing a very unlucky thirteenth the year before. That the band, under the captaincy of the father, Mike McMonogul (Andrew Conway), has decided to use a highly theatrical Egyptian theme offers an ironic comment on the film’s own celebration of ethnicity. When the massive floats and gaudily-attired band members finally make their way down the street, it’s a totally surreal sight. Jack’s younger sister Kat, still in high school, tries to keep the family secret to herself. In a crucial scene early on, the camera focuses solely on her, as the disembodied offscreen voice of the school guidance counselor quizzes Kat about her emotional feelings regarding what’s going on with her family. Jennifer Welsh’s clipped responses, facial tics and gestures – especially the way she purses her mouth and tries to appear invisible – prove absolutely riveting. Welsh, a first-time performer, is amazingly natural in her role as a confused teenager. The guidance counselor suggests that she find a friend or someone with whom she can confide – a crucial piece of advice that will reverberate throughout the remainder of the film. Quinn in many ways filters the story through Jack (Greg Lyons), whose Oedipal fantasies of betrayal in Mummery parallel that of his father in relation to the family. Jack stumbles into a relationship with a hairdresser named Julie (Irene Longshore), who seems not much older than his sixteen-year-old sister. There’s a wonderfully uncomfortable scene where the Julie and Kat wind up brushing their teeth together in the bathroom. Julie’s unexpected presence in the house comes as a surprise to Kat. Julie later tries to relate to her by asking whether Kat has a boyfriend and offering to be available to her for advice. Needless to say, this comes across as improbable as Detective Lu’s efforts to befriend Alex in Gus Van Sant’s Paranoid Park. Shortly afterwards, Kat responds by leading Curtis into the basement. She throws her arms around his neck and begins kissing him. A month later, as they are about to do their morning TV show, the stress between them becomes unbearable. Curtis alludes to their making out and asks: “Could we please just forget about it and be cool with each other. The tension is driving me nuts.” Under questioning from Kat, he concedes that he likes her, but she storms off in anger. Although there are clearly strong feelings between them, the film like All the Real Girls suggests that timing is everything. Kat later falls completely apart and tearfully spills her true feelings to Curtis. What’s so unusual about The New Year Parade is that Quinn is not afraid to go for big drama. It’s hard to think of another recent indie film that risks being this emotional. Nonetheless, his film employs an episodic rather than dramatic structure. Quinn is more interested in mining the depths of individual moments rather than in bludgeoning us to death with plot contrivances. The New Year Parade, in fact, is very different from films by Sean Baker or Aaron Katz. Like these directors, he depends heavily on improvisation – he reportedly abandoned his 105-page written script in favor of improvised dialogue – but Quinn’s particular brand of naturalism is far more dramatically inspired, even if he flattens the overall arc of his story. Because the loosely structured story transpires over the course of a year, Quinn provides realistic interludes that are heavily reinforced by pop songs and mood music. Quinn’s camera remains remarkably close to his characters during the most intimate scenes – to the point where it almost seems as if he’s shooting a documentary. He fragments the story into shorter shots rather than relying on extended takes. Quinn mixes together documentary scenes of South Philly – of real people and situations, such as shots of the neighborhood, the Mummers practicing and preparing for the parade, or locals dancing in the streets – with scripted scenes. Like Sean Baker, he shoots lots of footage, which is one of the benefits of digital technology. The budget was reportedly a mere $7000, even if it looks like a million bucks. The scenes of the Philly skyline, fireworks, and Christmas tree lights show a rich and poetic aesthetic sense. Quinn gives as much weight to transitions and place as to his major dramatic scenes. The implosion of the venerable Veterans Stadium – the one-time home of the Phillies and Eagles – serves as an apt metaphor for the dissolution of the McMonogul family.